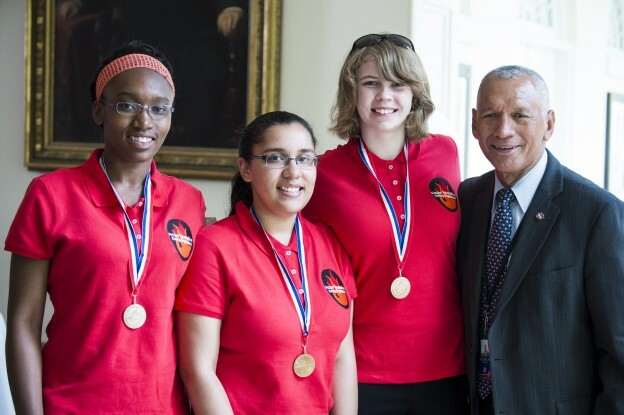 Today, I was pleased to join President Obama at the White House for the 2014 White House Science Fair recognizing the student winners of a broad range of science, technology, engineering and math (STEM) competitions from across the country. This year’s fair is especially focused on girls and women who are excelling in STEM and inspiring the next generation with their work. In addition to recognizing the achievements of the students, the President also announced new steps as part of his Educate to Innovate campaign, designed to engage and support more girls and boys in STEM education. As a major driver of science, technology and innovation, NASA has made STEM education the centerpiece of our outreach to schools and students throughout the nation. Through our educational partnerships with teachers, students and schools, we are committed to inspiring the next generation of scientists and explorers who will keep America in the forefront of technology, innovation and space exploration. As is well known, there is a crisis in this country that stems from the gap between our growing need for scientists, engineers, and other technically skilled workers, and our available supply. It is also well known that women and minorities continue to earn a paucity of the science and engineering degrees earned by U.S. citizens and to be underrepresented in the STEM fields. We must close those gaps if America is to remain in the forefront of the rapidly evolving, highly competitive, global technology market. That is why we have made STEM education a priority at NASA. And today at the White House Science Fair, I was pleased to announce an exciting new resource for students. NASA and Khan Academy, a non-profit educational website, have initiated a series of online tutorials designed to increase student interest in science, technology, engineering and mathematics. The Science Fair’s focus on girls reminds us that NASA is a major employer of women in science, technology, engineering and mathematics fields and one of our priorities is inspiring young women to pursue an education and career in the STEM pipeline. For example, half of the eight newest members of our astronaut candidates in the Class of 2013 are women – the highest percentage ever – and we hope to maintain this level of diversity in our ranks in the years ahead. I saw that first-hand at the White House Science fair which included the members of Oklahoma-based Girl Scout Troop 2612 – Avery Dodson, 7; Natalie Hurley, 8; Miriam Schaffer, 8; Claire Winton, 8; and Lucy Claire Sharp, 8. These girls put their preparedness skills into action as part of the Junior FIRST Lego League’s Disaster Blaster Challenge. The Challenge invites thousands of elementary-school-aged students from across the country to explore how simple machines, motorized parts, engineering, and math can help solve problems posed by natural disasters like floods or earthquakes. NASA is embarking on the most exciting human spaceflight missions in our storied history. We are charting a path to Mars. Our Asteroid Redirect Mission will send humans to an asteroid for the first time and our International Space Station is helping us perfect the technologies to achieve these ambitious goals. Our need for STEM educated workers will only increase in the coming years. Today’s White House Science Fair makes it clear that there is no shortage of young people who want to be a part of America’s technology future. We stand with President Obama in pledging to give them the support and the opportunities they need to succeed. This week, I am in Berlin for meetings with German Chancellor, Angela Merkel as well as the head of the German Space Agency (DLR), Johann-Dietrich Worner, and top officials from the European Space Agency (ESA). I am also representing NASA at the world famous Berlin Air Show. My visit to Germany is a chance to reaffirm the strong and growing alliance between NASA, DLR and our other European partners, and to highlight a number of important collaborations that are currently underway, including DLR’s help in charting NASA’s ambitious path to Mars. 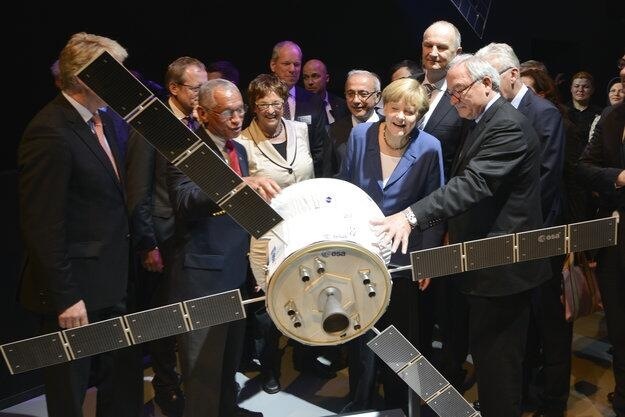 In fact, today, I have the high honor of presenting German Chancellor Angela Merkel with a model of Orion, NASA’s next generation deep space exploration vehicle that will be used for our Asteroid Redirect Mission (ARM) and eventually, for a human mission to Mars. As Orion is being readied for its first test flight later this year, DLR, through the European Space Agency (ESA), is helping develop the spacecraft’s service module, which will provide essential in-space propulsion and life support systems for human crews. This is only one of many areas of cooperation between NASA and DLR. NASA Administrator Charles Bolden presents German Chancellor Angela Merkel with a model of the Orion crew vehicle at the Berlin Air Show. The European Space Agency is providing the spacecraft’s service module. 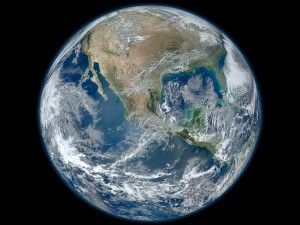 Photo credit: European Space Agency (ESA). The success of the International Space Station (ISS), our springboard to Mars and deep space, would not be possible without German support. DLR is our largest European partner for ISS and has been involved in missions for the past 13 years. In just a few days, ESA German Astronaut, Alexander Gerst will launch to the Space Station along with Expedition 40/41 crewmates, Cosmonaut Maxim Suraev and NASA Astronaut Reid Wiseman. During their six-month stay aboard the ISS, dubbed the “Blue Dot” mission in a nod to Carl Sagan’s description of Earth as a “pale blue dot,” Gerst and his crewmates will conduct a series of scientific experiments designed to improve life on Earth and prepare for future human missions. Our German partners are also providing critical support as NASA prepares its path to Mars. In addition to its work on the Orion service module, DLR may provide scientific instrumentation for our planned Mars 2020 rover. They are also leading the development of the Mars Organic Molecule Analyzer, or MOMA, for the ESA 2018 ExoMars rover. Two of the three instruments to be launched with NASA’s 2016 InSight mission to Mars, will be provided by European partners: a heat-flow probe provided by DLR and a seismometer provided by CNES, the French Space Agency. Finally, closer to home, DLR is one of NASA’s closest international partners in aeronautics. Our organizations are founding members of the International Forum for Aviation Research (IFAR). Just last week, during my visit to the newly renamed Armstrong Flight Research Center, I had the opportunity to view the planes used on one of our joint aeronautics research projects – ACCESS II, a joint venture involving NASA, DLR of Germany and the National Research Council (NRC) of Canada, to study the atmospheric effects of emissions from jet engines burning alternative fuels. Understanding the impacts of alternative fuel use in aviation could help solve some of the key operational and environmental challenges facing aviation worldwide in the 21st century. I plan to see the ACCESS II planes and meet with our aeronautics team at the Berlin Air Show. NASA’s partnership in the sky with DLR is paying big dividends on Earth for both Germany and the United States. We look forward to continuing to work together to expand our reach into space and bring new benefits to Earth.